Prague Castle (Czech: Pražský hrad) is a castle complex in Prague, Czech Republic, dating from the 9th century. It is the official residence of the President of the Czech Republic. The castle was a seat of power for kings of Bohemia, Holy Roman emperors, and presidents of Czechoslovakia. The Bohemian Crown Jewels are kept within a hidden room inside it. 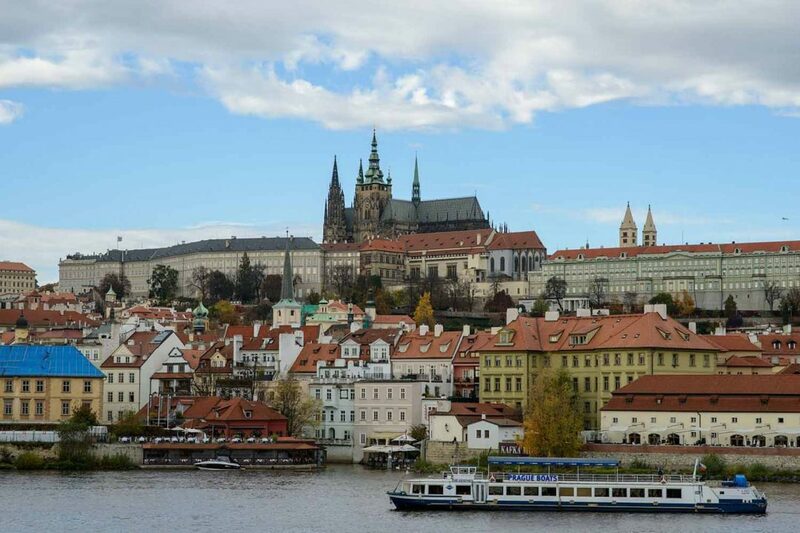 According to the Guinness Book of Records, Prague Castle is the largest ancient castle in the world, occupying an area of almost 750,000 square feet, at about 1,870 feet) in length and an average of 430 feet wide. The castle is among the most visited tourist attractions in Prague attracting over 1.8 million visitors annually. The history of the castle began in 870 when its first walled building, the Church of the Virgin Mary, was built. The Basilica of Saint George and the Basilica of St. Vitus were founded under the reign of Vratislaus I, Duke of Bohemia and his son St. Wenceslas in the first half of the 10th century. The first convent in Bohemia was founded in the castle, next to the church of St. George. A Romanesque palace was erected here during the 12th century. Over the next 700 years, the castle complex grew to its current state. Through out that time, there was a major fire (1541) and damages from revolts and wars. For most of the time since 1918, the castle has been the home to the head of state.